Make the ultimate fashion statement with this bold pendant. 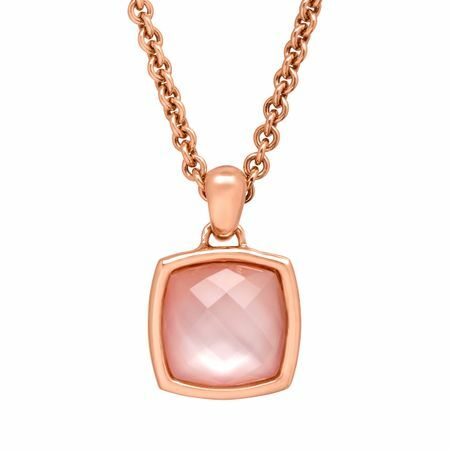 A 8 3/8 ct cushion checkerboard-cut rose quartz shimmers within a setting of 18K rose gold over bronze. Piece measures 1 by 5/8 inches. Comes with an 18K rose gold over bronze 18-inch rolo chain.